A traveling league for 5th - 8th grades. Most games take place on Saturday or Sunday afternoons. 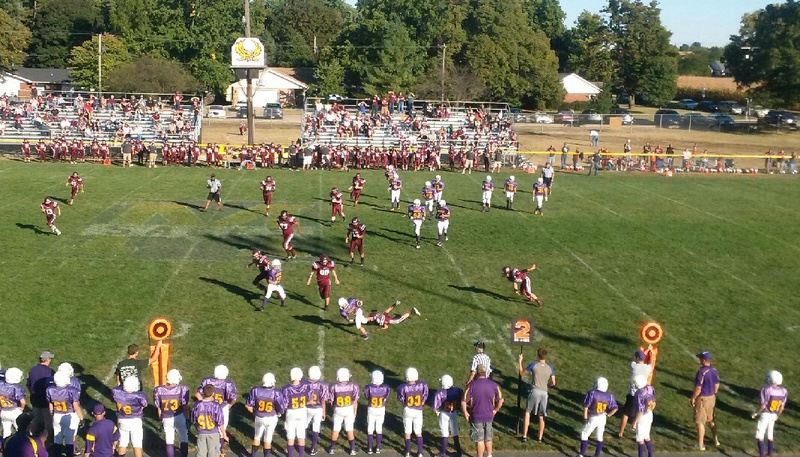 Home games are played on the Monticello High School football field. Players who turn 13 on or before September 1st, 2019 must play in the Heavyweight Division. Players who turn 15 on or before September 1st, 2019 are ineligible to play. Practices begin on July 29th at the high school. Games begin weekend of August 17th. Registration: Tuesday, July 23rd, 2019 6:00-7:00pm at municipal building. Players must be present to get fitted for helmet and shoulder pads.